courses of the rms value of voltage U, current I, active and reactive power (P and Q) when there are voltage dips caused by faults in the network. 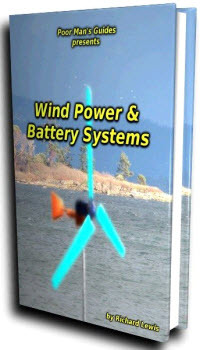 The recordings are from a wind turbine equipped with a 2 MW generator with a fault ride-through function (Datasheet, Vestas). This function permits wind farm operation during voltage dips, which is generally required for wind farms connected to the HV networks. Analyzing the course of the current presented in Fig. 8, it can be observed that it is close to the nominal value and in fact independent a of voltage dip. Basing on the technical data it is possible to approximate ti time, when the steady-state current will be close to the nominal value (Fig. 9). The negative influence of the low value steady current from the wind farm is cumulating especially when the distribution network is operating in the open configuration (Fig. 11). The selected wind turbine is the one most frequently used in the Polish power grid. 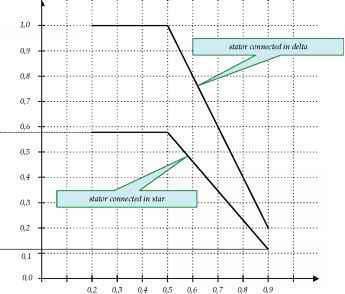 The impulse current at the beginning of the fault is reduced to the value of the nominal current after 50 ms. Additionally, the current has the capacitance character and is only dependent on the stator star/delta connection. This current has the nominal value for delta connection (high rotation speed of turbine) and nominal value divided by V3 for the star connection as presented in Fig. 9. Reaction of protection automation systems in this configuration can be estimated comparing the fault current to the pick-up currents of protections. For a three-phase fault at point F (Fig. 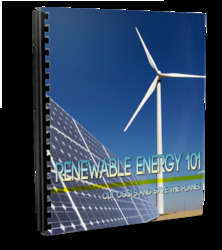 11) the steady fault current flowing through the wind farm cannot exceed the nominal current of the line. The steady fault current of the single wind turbine of PN=2 MW (SN=2.04 MW) is Ik = ING = 10.7 A at the HV side (delta stator connection). However initial fault current Ik is 3,3 times higher than the nominal current (Ik = 35.31 A ).It must be emphasized that the number of working wind turbines at the moment of a fault is not predictable. This of course depends on weather conditions or the network operator's requirements. All these influence a variable fault current flowing from a wind farm. In many cases there is a starting function of the distance protection in the form of a start-up current at the level of 20% of the nominal current of the protected line. 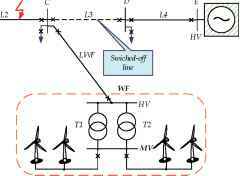 Taking 600 A as the typical line nominal current, even several wind turbines working simultaneously are not able to exceed the pick-up value both in the initial and the steady state fault conditions. When the impedance function is used for the pick-up of the distance protection, the occurrence of high inaccuracy and fluctuations of measuring impedance parameters are expected, especially in the transient states from the initial to steady fault conditions. • using banks of settings, configuring adaptive distance protection for variant operation of the network structure causing different fault current flows. When the HV distribution network is operating in a close configuration, the fault currents considerably exceed the nominal currents of power network elements. In the radial configuration, the fault current which flows from the local power source will be under the nominal value. Ia - fault current flowing from system A, Iwf - fault current flowing from WF, Zam - impedance of the AM segment, Zmf - impedance of the MF segment, kif - intermediate in-feed factor.